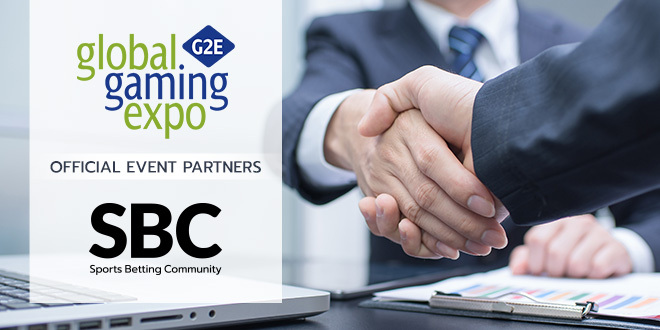 Global Gaming Expo (G2E), the world’s premier international gaming trade show and educational event, is partnering with sports betting trade event specialists SBC (Sports Betting Community) to co-promote each other’s industry leading events. 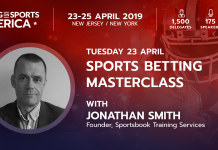 SBC organises the world’s biggest dedicated sports betting events in London (Betting on Football and Betting on Sports) and has launched Betting on Sports America (23-25 April) to cater to the growing U.S. sports betting market. Betting on Sports America will be the largest dedicated sports betting event in the U.S. and spans two states. New Jersey will host the main conference at the Meadowlands Exposition Center, while the opening and closing networking parties are being held in Manhattan, New York. G2E, which is presented by the American Gaming Association (AGA) and organized by Reed Exhibitions, saw more than 27,000 gaming professionals visit Las Vegas last October. The 2018 event attracted attendees from 106 countries and 52 U.S. states and territories. The partnership between SBC and G2E will see both organisations promote and support the other’s events: G2E through its well-established gaming professional database and SBC through its events and expanding network of news sites such as SBCAmericas.com, SBCNews.co.uk, CasinoBeats.com, EsportsInsider.com, InsiderSport.com and PaymentExpert.com. The deal will also see SBC provide unique sports betting content to G2E and launch a Las Vegas version of its popular “London Baby” networking party for sports betting professionals who attend this year’s G2E. Global Gaming Expo (G2E) is the world’s premier international gaming trade show and educational event, presented by the American Gaming Association (AGA) and organized by Reed Exhibitions. G2E 2018 saw more than 27,000 gaming professionals converge at the Sands Expo and Convention Center for a high-powered event showcasing all aspects of the gaming industry, including the show’s first-ever Sports Betting Symposium. The event demonstrated the latest developments in gaming technology and featured new fast-paced and actionable educational content. G2E will continue to provide everything you need for your casino floor and across your entire operation – from traditional casino fare to nongaming amenities and digital products. G2E is where business growth is accelerated. 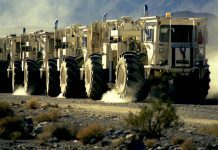 The American Gaming Association is the premier national trade group representing the $261 billion US casino industry, which supports 1.8 million jobs nationwide. AGA members include commercial and tribal casino operators, gaming suppliers and other entities affiliated with the gaming industry. It is the mission of the AGA to achieve sound policies and regulations consistent with casino gaming’s modern appeal and vast economic contributions. The event is held 23-25 April in New Jersey, and is the largest dedicated sports betting trade show in the US. The conference boasts 175 speakers and 40 sessions, with 60 exhibitors displaying their latest products on the 61,000 sq ft exhibition floor at the Meadowlands Exposition Center. For more information about the event, please visit the website Betting on Sports America. 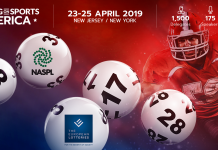 Betting on Sports America event organiser SBC is a member of the AGA (American Gaming Association), NIGA (National Indian Gaming Association), CGA (Canadian Gaming Association), and platinum sponsor of IAGA (International Association of Gaming Advisors). The company organizes the three largest sports betting industry events in the world and operate a news and media network that publishes 60 betting and gaming industry news stories a day.